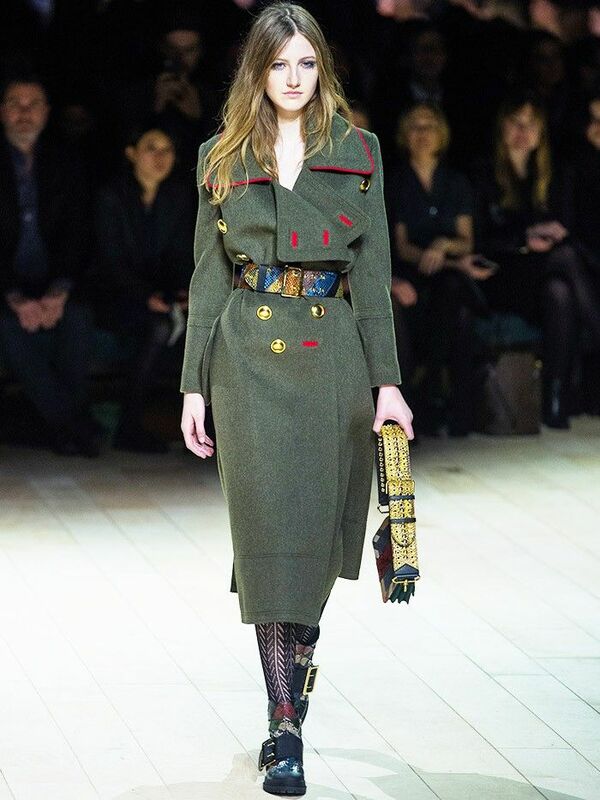 Today marked the debut of Burberry's new shopping strategy. Following the A-list–attended runway presentation, this collection went straight into the Regent Street flagship store. The British heritage brand has found itself leading the charge for time-appropriate catwalk shows, which means what you see now you can buy now, rather than waiting six months as per the original retail model. So what should you make a beeline for without delay? Well, unlike some past seasons where models walked away with an initialled piece like the ponchos or backpacks and created instant must-haves on their merry way, we, in fact, noticed multiple items that made editor's phones poised to Snapchat… Which one to choose? Scroll down to see the investment pieces to buy now! It seems that the new shoe mood is a pretty angry one. Thick treads, patchworked python prints and jumbo buckles or studded fringe made these stand out from the clodhopper crowd. In the place of trench coats, Christopher Bailey showed a range of styles inspired by official uniforms—from marching band jackets to be worn with Jimi Hendrix in mind (i.e. not with anything else you'd usually think of, such as a lamé floral blouse) to masculine sergeant's overcoats in army green. All types worked with pretty dresses, but they'll be just as tempting for those days where all you want to wear is jeans and a jumper. These mini bags came with thick belt-like straps and again were patched together in different fabrics—you could even see a hint of the house check in there. Are you excited to be able to buy fashion straight fresh from fashion week? Comment on real-time fashion below!